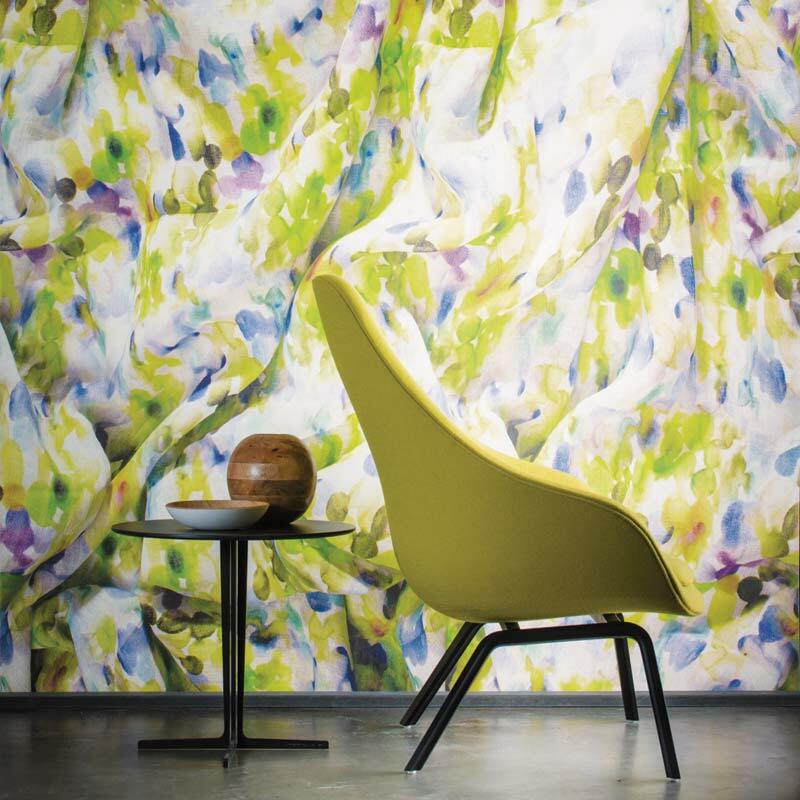 If you are looking for an alternative to the symmetry of printed patterns on wall paper then Effervescence from Casamance has the solution. Even Chinoiserie-style with its twisting vines and floating feathers has a form and repetition that is absent from Effervescence’s abstract print. The pretty, floral-inspired design has a fluid quality. When hung it looks remarkably like draped fabric, so much so you will find that most people touch it to see that it isn’t. It instantly softens the wall and provides a great contrast for modern, structural furniture shapes. 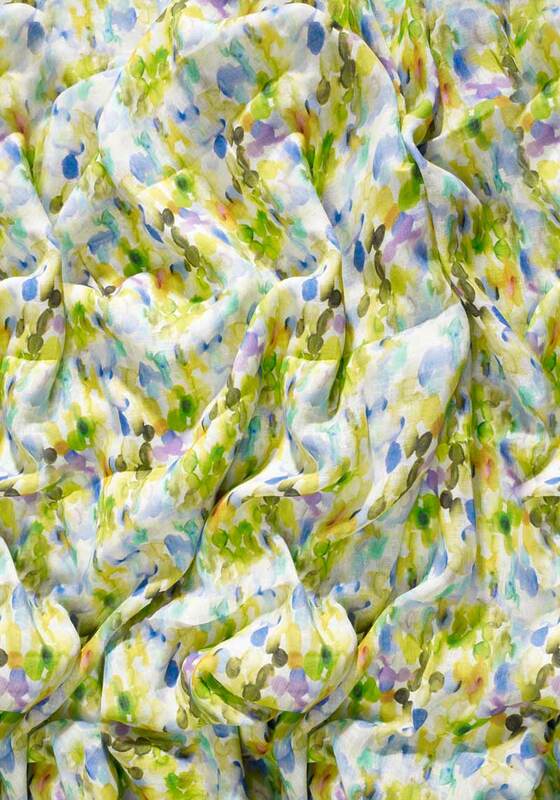 Available in two colour-ways, pastel pink or lime green, the pattern looks like blossom petals floating on a stream. Perfect for summer schemes where you want to bring the beauty of the natural world indoors. If you would like to see how the design team could use this wallpaper in your home, get in touch today.